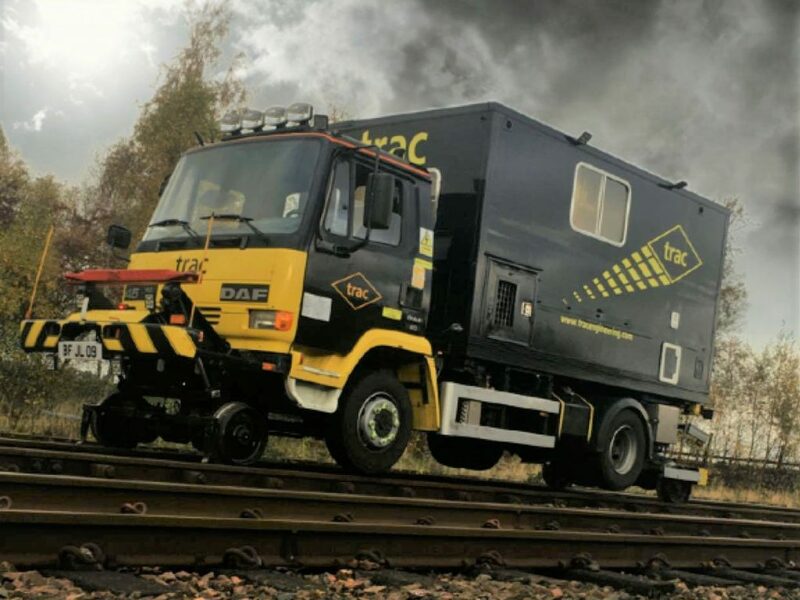 TRAC’s most spacious offering of Road Rail Welfare, the welfare is standalone from the base vehicle allowing it be fully powered at all times. This means the lorry is not left idling at site, reducing its impact on the surrounding environment. 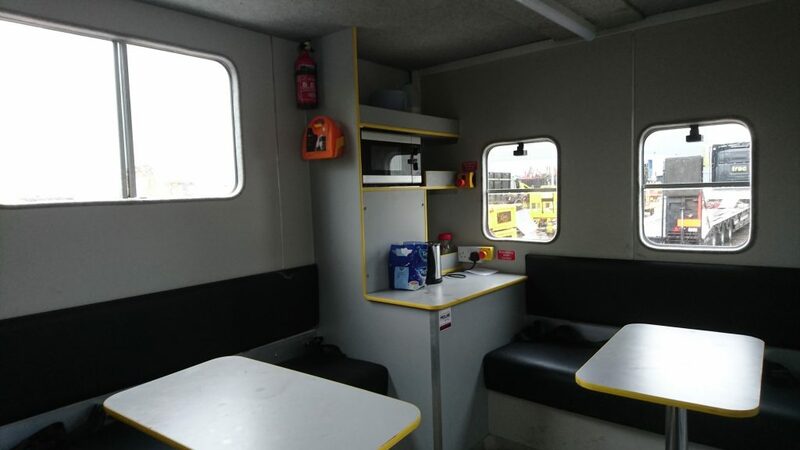 The DAF Welfare provides 8 seats, a table, 2 toilets, hot and cold running water with soap dispenser, plug sockets with USB charging points and microwave. Road Rail Welfare negates the need to congest access points, prevents staff walking long distances back to access points, and ultimately provides a mode of transport to site. The Welfare Pod has directional LED lights installed on all sides, providing an additional source of light on site, often replacing the need to provide a static task lighting setup.